Join us in the valley of Vanderloo as we explore the worlds of science fiction, fantasy, gaming, toys, and more! For the love of Geekery! Kittens are better than movies according to Kitty. Do we believe her? You'll have to listen to find out! 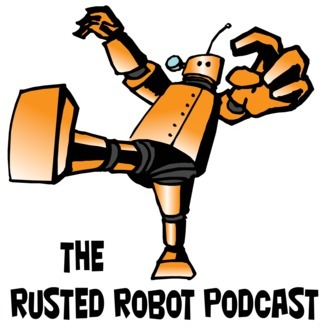 This week we record a quick and dirty episode...it's getting late and there's no time for a major editing job. 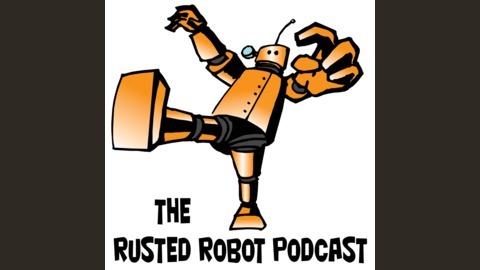 This is the raw version of the Rusted Robot Podcast. Get ready to hear us like never before! Star Trek: we talk about First Contact Day which as everyone knows is April 5, 2063 when the Vulcans came to Earth. This leads us to a fun theory about the 3rd season of Star Trek Discovery and a fun way to keep Anson Mount and Ethan Peck on the series. Could it actually happen? Probably not, but it sure is fun to speculate! We end our Star Trek chat with a look at all the upcoming Hallmark Keepsake ornaments for 2019. Disney/Fox. Now that the merger is complete, Disney is going to keep the Fox brand alive. They will use that division for R rated films and other content that Disney cannot use. As such, we may be getting more movies in the Alien and Planet of the Apes franchises. Shazam. A spoiler-free review of the film. Lucifer season 4. We have the Netflix trailer and we're talking all about the series. The Dead Don't Die trailer. Looks like a fun zombie film with a pile of A-list actors. The same kind of fun film as Shaun of the Dead. Joker trailer. We are not sure what to think of this thing. Could be extremely weird or a heck of a lot of fun. Marc Maron is in it. So that's cool. Threadbare. Audio book series. Josh loves it. Mythical creatures. We have the answers to last week's hypothetical question. Download the Podcoin app and get paid to listen to podcasts. Use promo code Shawnhu1 for 150 coins.